An American businessman was at a pier in a small coastal Mexican village when a small boat with just one fisherman docked. Inside the small boat were several large yellow fin tuna. The American complimented the Mexican on the quality of his fish and asked how long it took to catch them. The Mexican replied that it only took a short while. The American then asked why he didn't stay out longer and catch more fish. The Mexican said that he had caught enough to support his family's immediate needs. The American then asked, but what do you do with the rest of your time? 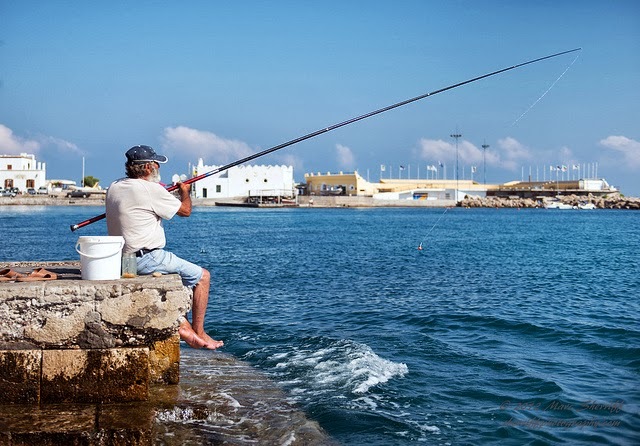 The fisherman said, "I sleep late, fish a little, play with my children, take siesta with my wife, Maria, stroll into the village each evening where I sip wine and play guitar with my friends. I have a full and busy life, senor." The American scoffed, "I am a Harvard MBA and could help you. You should spend more time fishing and with the proceeds, buy a bigger boat. With the proceeds earned fishing from the bigger boat, you could buy several boats and eventually you will have a fleet of fishing boats. Instead of selling your catch to a middleman, you would sell directly to the processor, eventually opening your own cannery. You would control the product, processing and distribution. You would need to leave this small village and move to Mexico city, then LA and eventually New York City where you will run your expanding enterprise." The fisherman asked, "But senor, how long will all this take?" The American replied, "15-20 years." The American laughed and said, "That's the best part. When the time is right, you would sell your company stock to the public and become very rich. You would make millions!" The American said, "Then you would retire. Move to a small coastal fishing village where you would sleep late, fish a little, play with your kids, take siesta with your wife, stroll to the village in the evenings where you could sip wine and play guitar with your friends.